Every weapon aficionado has his favorite accessory. Well, here's a secret: retailers have their favorites, too. And at GrabAGun.com, we'd be hard-pressed to find accessories that we like more than our collection of weapon lights. We have a wide array of weapon lights for every function, including products from your favorite manufacturers, such as Aimshot, Inforce and Streamlight. One of the frustrations normally encountered when searching for a weapons light is finding the middle ground: you need a light that is effective for both indoor and outdoor situations. We have a number of lights that fit the bill, with options including selector switches that allow you to switch from momentary only to constant on. 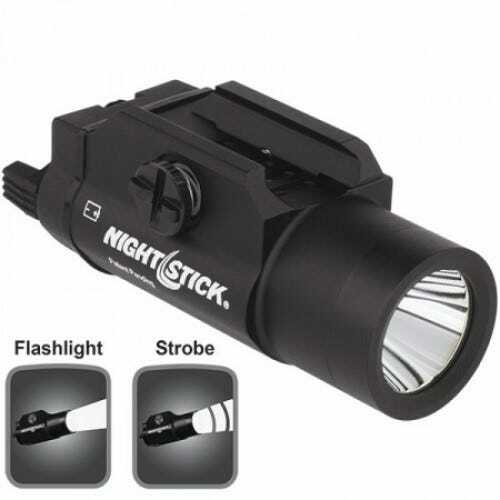 Imagine a situation in which your weak side is out of commission and you need your weapon light for visibility. If you were unable to manipulate the touch button, then the ability to toggle that selector switch could just save your life. Not to mention that when you're using a weapon for self-defense, proper target identification is essential, especially at a longer range. These lights provide you with what you need so you can be sure that proper target identification will never be an issue. All of these lights are lightweight, extremely bright and easy to use. They mount nicely to the rail without scratching anything up on the handguard. They are abnormally strong and light with easy functionality. All of our weapon lights have solid mounting and won't come loose under sustained fire or continued use. They are powerful and can be mounted/dismounted quickly, even from gun to gun. They have great ergonomics with well thought out designs. Trust GrabAGun.com to provide you with the perfect weapons light. You're going to want one on every weapon you own.